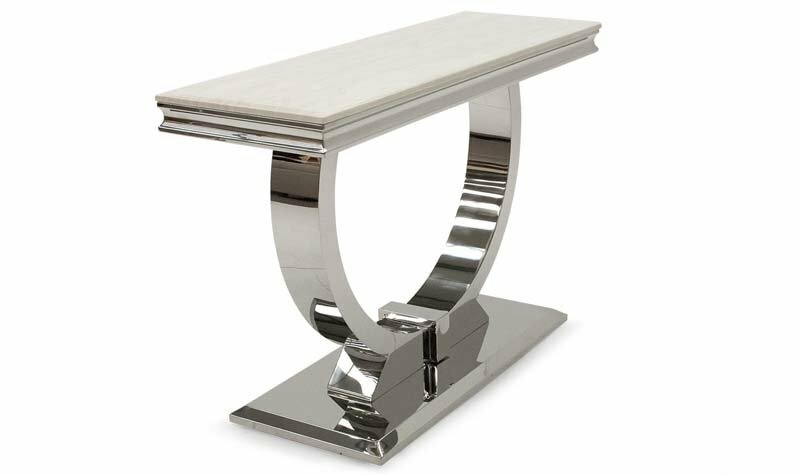 The Arianna Console Table is a striking, elegant marble-topped table with a clean polished steel bases. 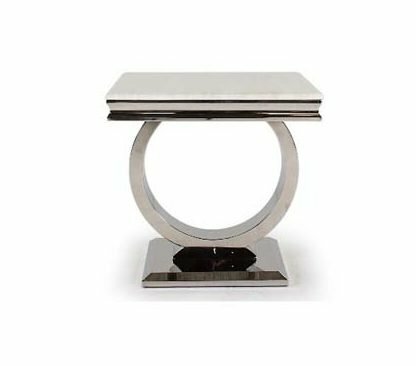 The Arianna Lamp Table is a striking, elegant lamp marble topped table with a clean, polished steel bases. 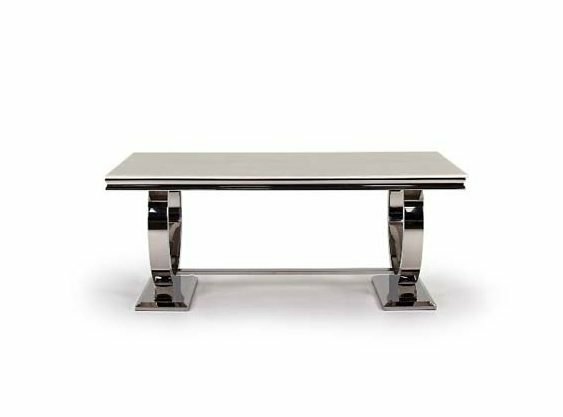 The Arianna Coffee Table is a striking, elegant marble-topped coffee table with clean, polished steel base.